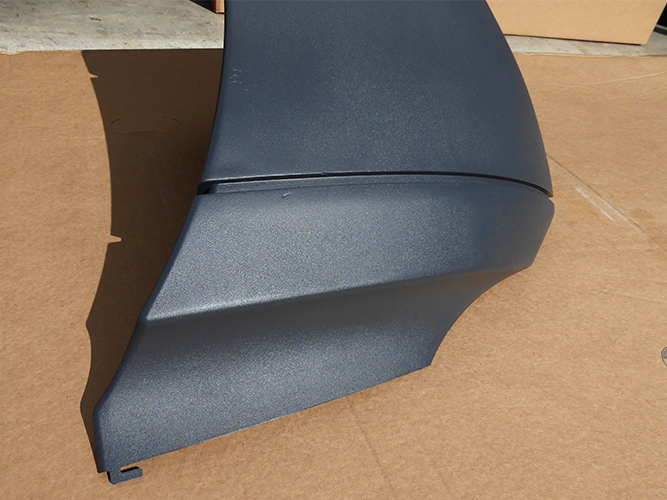 Many heavy trucks have thermoplastic bumpers and side panels which can be repaired with Polyvance's plastic repair and refinishing products. These bumpers are usually pretty thick, which is why the adjustable flow on Polyvance's nitrogen plastic welders is so important. Having flow control is important for speed on thick plastics. 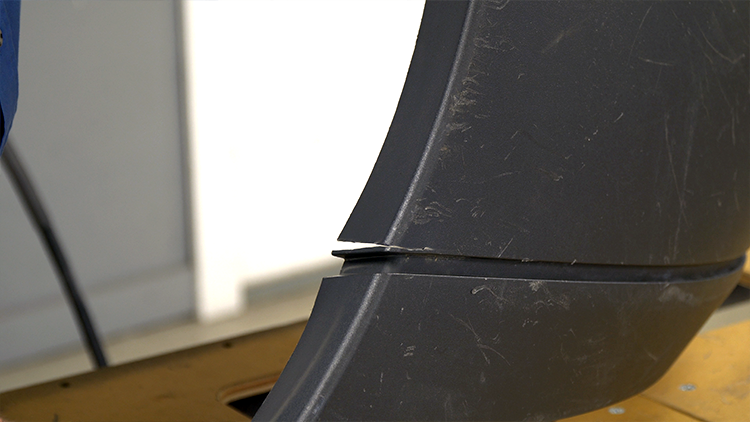 We have just released a video where we repair and retexture an end piece of a Freightliner bumper. 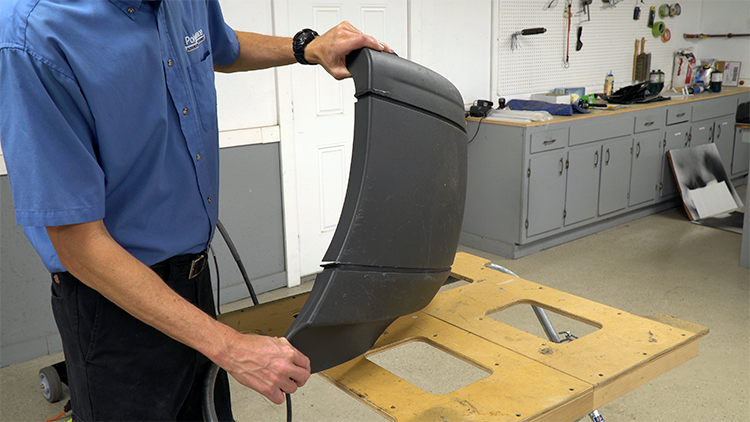 In this video, we have the end piece of a Freightliner bumper, which is polypropylene and has an unpainted textured finish. 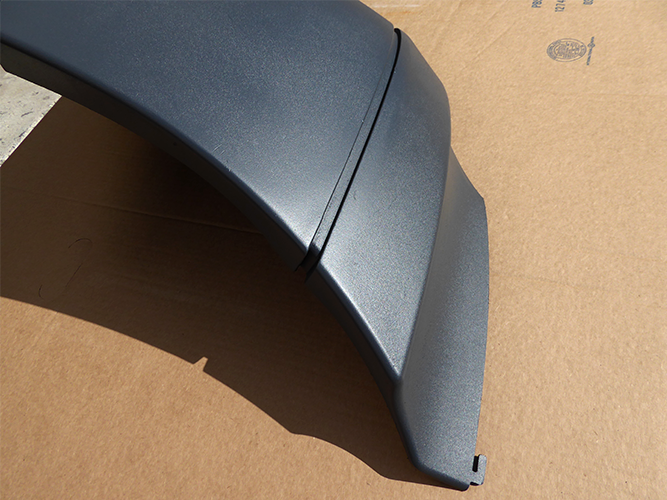 The bumper is torn along a body line, which will be an easy repair with one of Polyvance's nitrogen plastic welders. We will then retexture the bumper with our 3803 Flextex VT texturing material and use Bumper and Cladding Color Coat to re-color it.